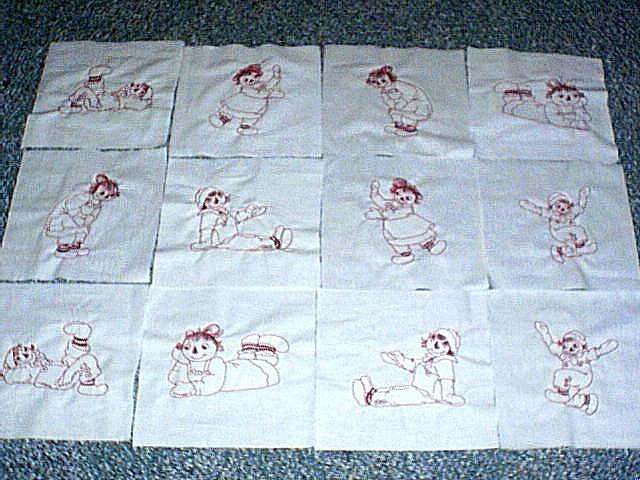 This is a beautiful set of 12 raggedy ann and andy quilt blocks. 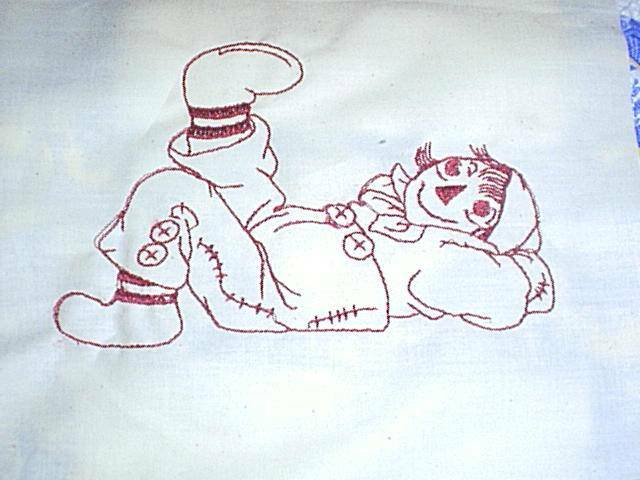 Great for childs room or any one who collects raggedy anns and andys. 10 inch muslin blocks with a 5X7 embroidered red work block design. Price $36.00. There are 10 blocks in this set. There are 10 blocks in this set. Each block is 7X7 inch muslin fabric with a 4X4 inch design on each block. 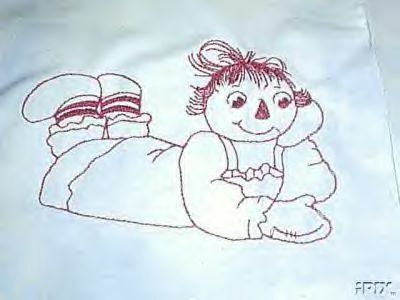 Blocks are embroidered with Maderia poly neon embroidery threads. Poly neon is know for its luster and ability to hold its color even if bleach is used in the wash. Therefore, these would be great for a childs quilt, throw or even pillows for their beds. The set sells for $30.00.